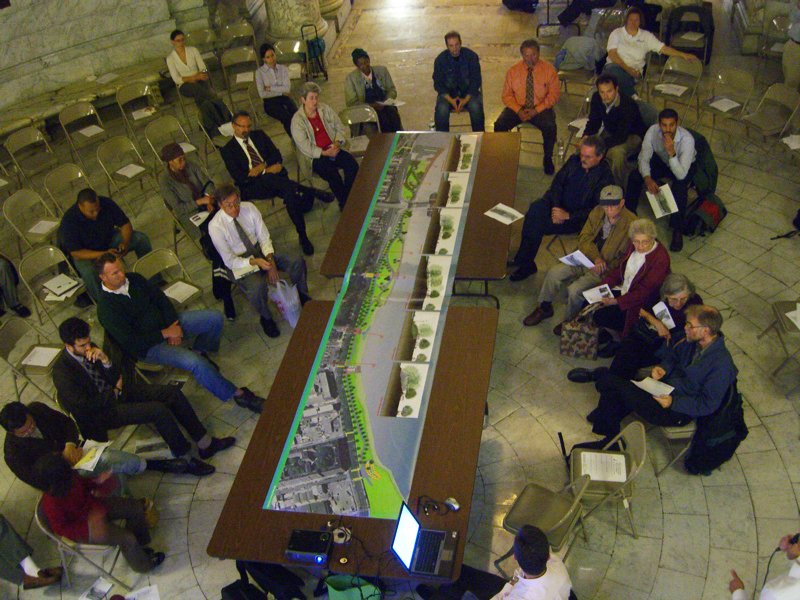 On May 5, the Newark Riverfront Parks team presented the latest iteration of the the park design for public comment and discussion. Download a PDF of the presentation and discussion notes here. 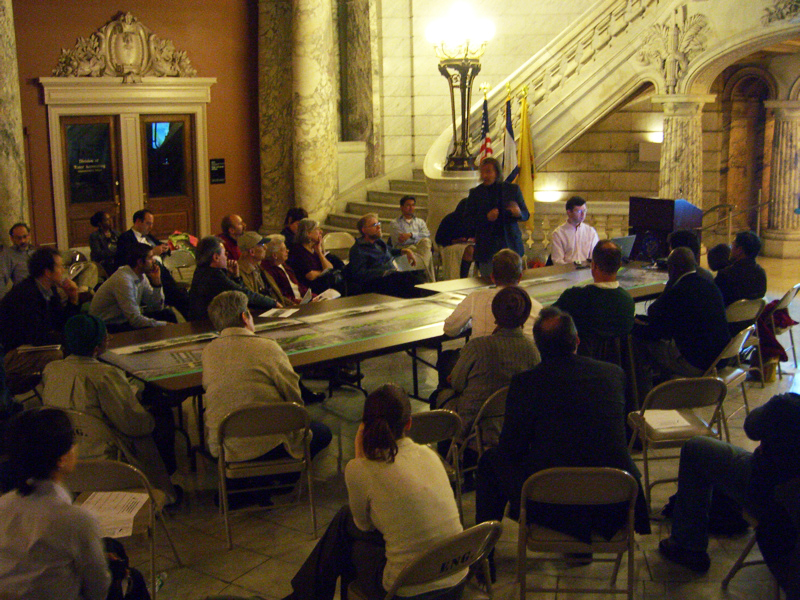 This entry was posted in Building Things, Public Programs on May 21, 2009 by newarkriverfront. 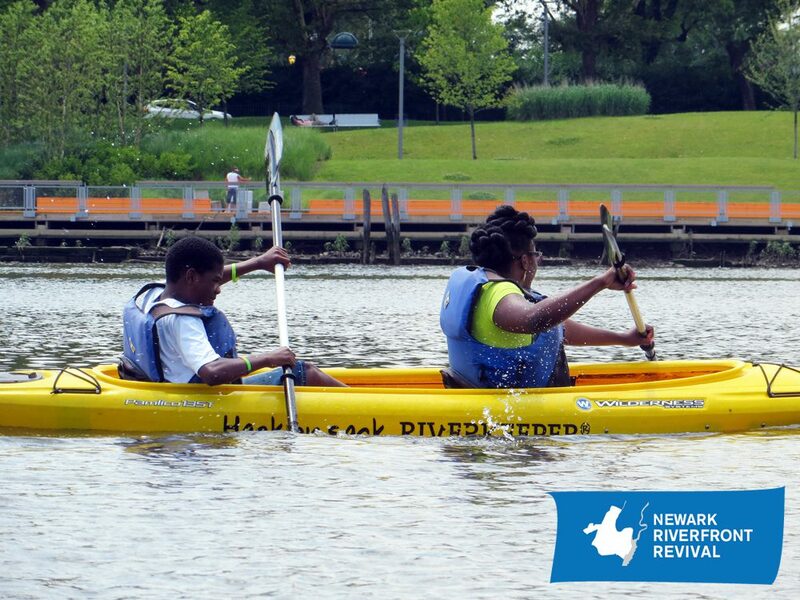 This Saturday, May 16, boaters of all ages will prove that it is easy and exciting to boat on the Passaic River in Newark. First, at 8 am, the Lower Passaic Watershed Alliance launches its 5th Annual Passaic River Paddle Relay: A Race for the River. Boats launch from the bank of the Passaic across Raymond Boulevard from Riverbank Park. For more information, visit www.lowerpassaic.org, or call or email Tom Pietrykoski at (973) 817-5737 or tpietrykoski [at] pvsc.com. Then, at 10 am, the Shipwrights of Barringer Ninth Grade Success Academy, Discovery Charter School, Link Community School, and William Brown Academy, and the Staff and Board of Trustees of Project U.S.E. cordially invite you to the Third Annual Launching of the Newark Fleet! Boats will launch from near the intersection of Raymond Boulevard and Somme Street, at the bank of the Passaic River. Students have learned about Newark’s nautical history, studied the science behind boats, and worked together to build wooden canoes. Join us as we honor their hard work and celebrate the launch of their vessels. For additional information, email Marie Pasquariello at mpasquariello [at] projectuse.org. This entry was posted in Public Programs on May 15, 2009 by newarkriverfront.